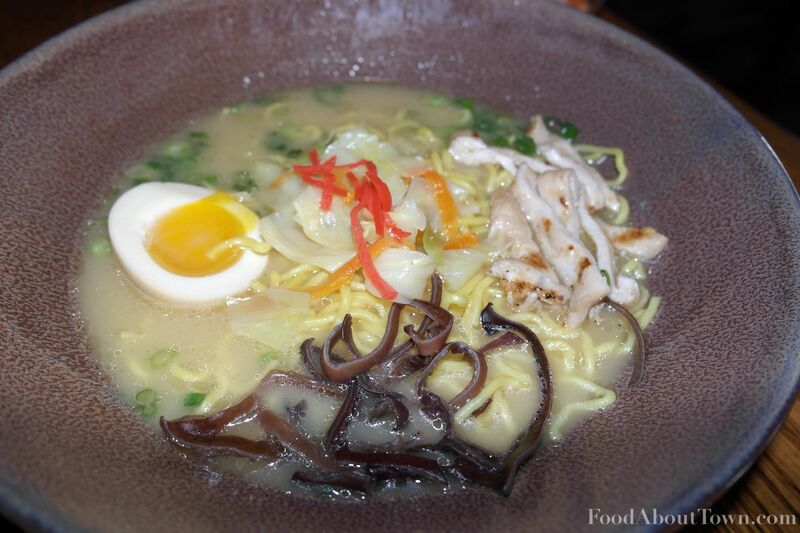 This is a repost of my recent City Newspaper review of Furoshiki ramen house on Park Avenue. For reference sake, I did do a review of them last year on the blog that was less than positive, but this was a revisit with the intent of seeing if and how their food had improved over time. 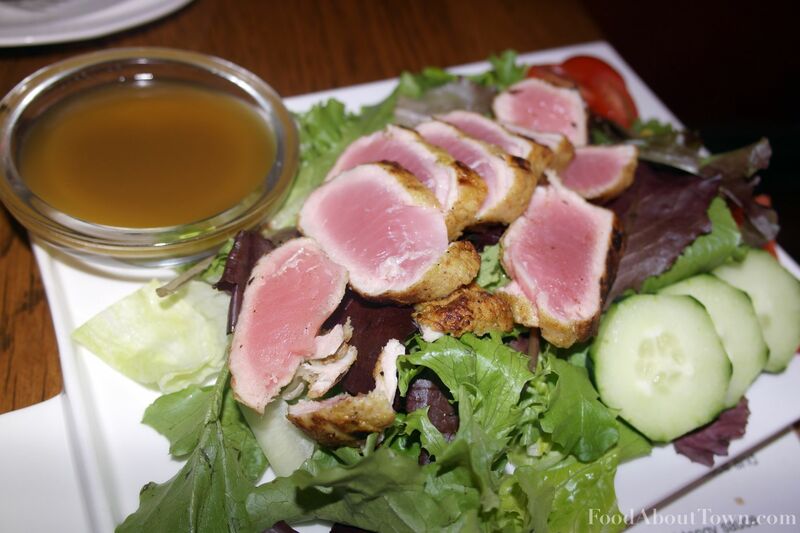 It is core to my mission to enter meals that I review with an open mind and palate. With that being said, I couldn’t help being pleasantly surprised by the improvement I tasted in Furoshiki’s bowls of ramen compared to those I had sampled in the past. After my recent review meals, I spent some time with one of the owners and asked a few questions about the background of Furoshiki and what had changed in the six months or so since my last visits. A big bowl of ramen is the kind of food perfect for the shockingly cold Rochester days that will soon arrive. 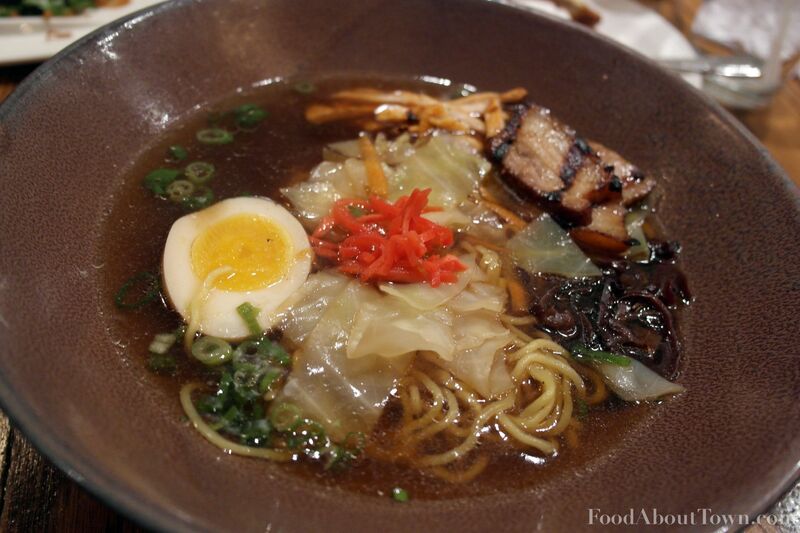 Ramen is unpretentious, warm, and comforting. It is meant to be slurped down immediately to get the best texture of the noodles and the additions to the soup. Who doesn’t like grabbing a big spoon and noisily going to town on a slow cooked broth? Similar to a pizza’s crust, I find that the quality of the ramen broth is key to making a successful bowl. Sure you can have something that tastes fine without a solid crust or broth, but there will always be a limit on how good the end product can be. My wife and I sampled the pork bone broth in the pork bone ramen ($10) and the chicken ramen ($10), which uses a soy base. The seasoning was consistent and spot on in both broths and was at a level that had a noticeable salty tinge, but not one that was overpowering in any way to my tastes. The pork bone broth had a milky white color, which indicated a good amount of work was put into the cleaning of the bones as part of the intense cooking process. The broth’s thickness was pleasant with a lingering mouthfeel from the gelatin, although I wouldn’t have minded it being a bit more intense. The pork flavor was evident with a mild sweetness to balance out the saltiness and it held up well to an application of the spice bomb ($1) — consisting of chili garlic sauce kicked up with a spice blend. This is a gut warming affair and one that you walk away from satisfied. What the soy base broth lacks in complexity it makes up for in clarity. The soy wasn’t overpowering and had a clean finish that let the toppings speak for themselves. Both the tender chicken and pork were grilled and then sliced thin prior to serving in the dishes. Neither made a big impression but weren’t offensive in any way either. I much preferred the add-on of slow cooked and grilled pork belly ($3) we tried — it had a soft layer of fat that almost melted in the mouth. Even though ramen is the focus, Furoshiki also offers a full menu of accompanying dishes, including salads, sandwiches, and appetizers. What I was most impressed with was the chicken wings and the kale salad. 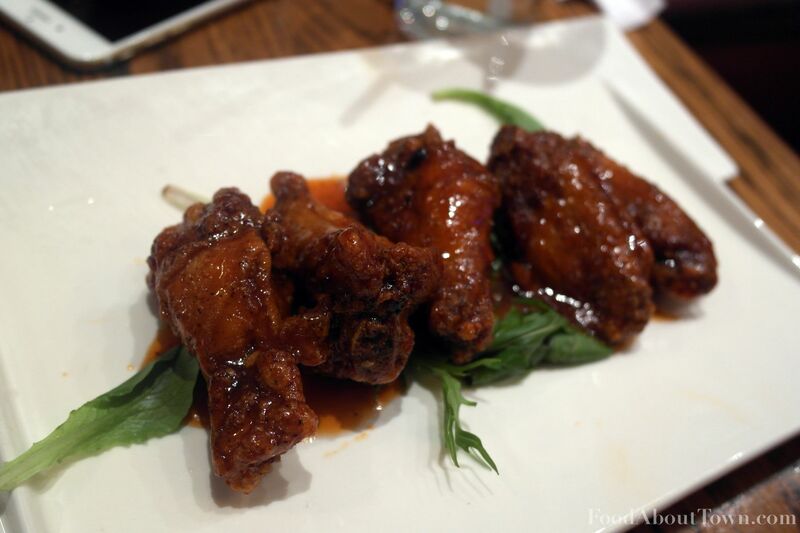 We tried the honey Sriracha wings ($6 for 5 wings) that were quite crunchy with light breading and had an addictive balance between the sweetness and spiciness. These are wings I’d be happy to eat a dozen of while watching a game. The kale salad ($6) was something I had tried before and continued to be a successful dish with a sharp ginger dressing that stood up to the raw kale. We did try a sake-based Park Ave Cosmo ($6) cocktail which was balanced and a good value. Less successful were the ahi tuna salad ($11), tofu sandwich ($8), and the pork belly steam buns ($5 for 2 buns). Although the tuna was cooked to rare and the ginger dressing was sharp enough, the tuna wasn’t salted at all which left the dish flat. The tofu and avocado sandwich desperately needed toasted bread or crunchier tofu to get some textural contrast. Everything but the dill pickles made sense to me in the steam buns and if they had been replaced by some pickled radish or carrots I think the flavor profile would have made a lot more sense. I’ve tried to go twice, both times they were full and I couldn’t get a table (once I was in a hurry, and once I had a 4 month old baby and didn’t want to wait around with him). BUT…. both times parking was pretty easy. I’ll say that parking on Park Ave is a crapshoot at best on any given evening but Furoshiki is worth visiting on a less busy weekday night instead of a weekend. Especially now that the cold is here!